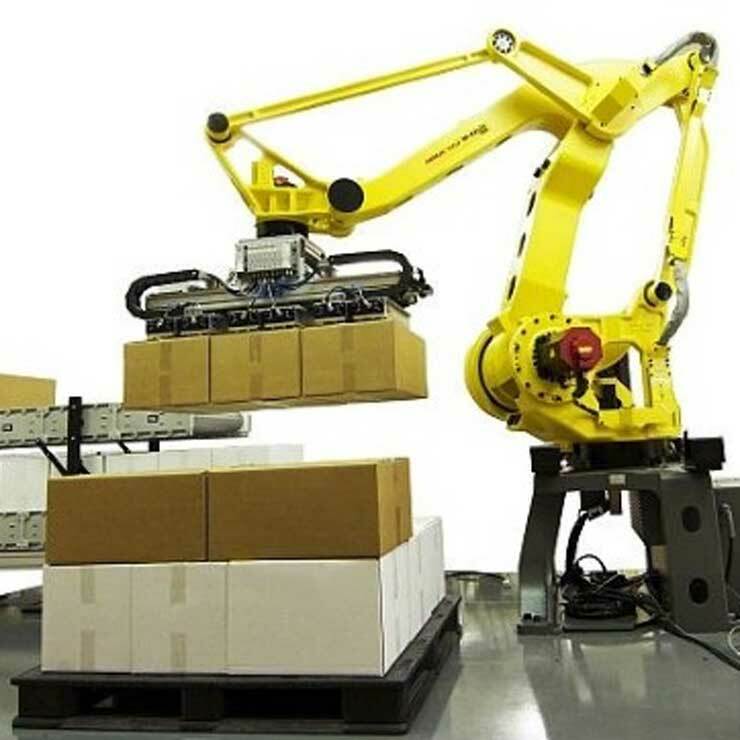 Palletisers are designed to automate the placing of full cases onto a pallet, increasing productivity whilst decreasing labour costs and manual handling risks. 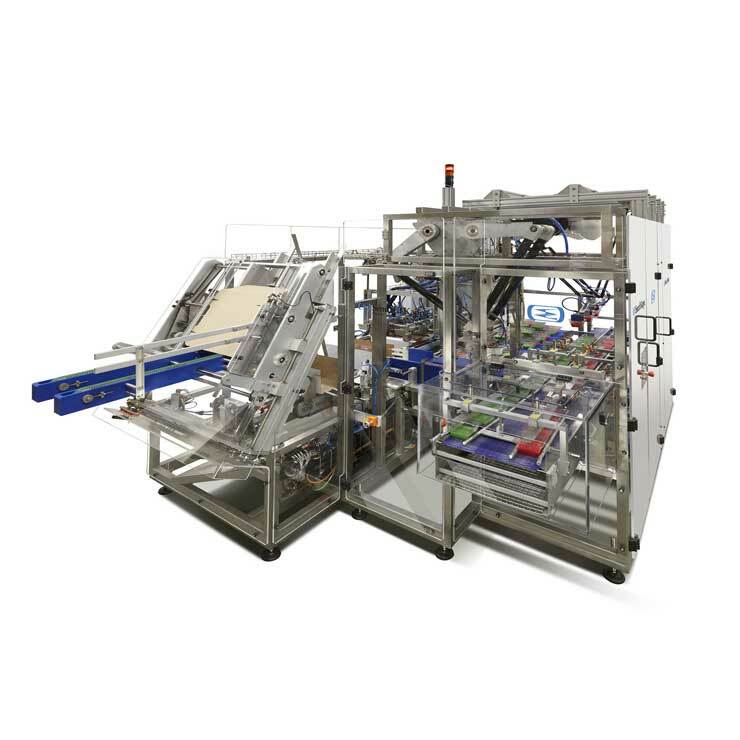 We offer a range of palletisation systems to suit all applications, including robotic, layer and gantry palletisers for both single and multi-line application. 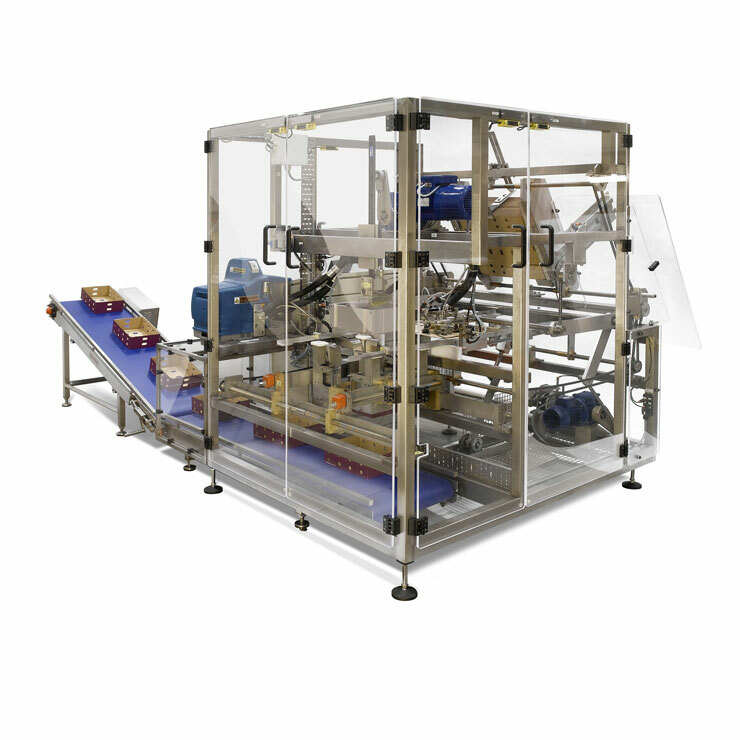 Robotic palletisers feature easily adjustable tooling, allowing for automated size changes. 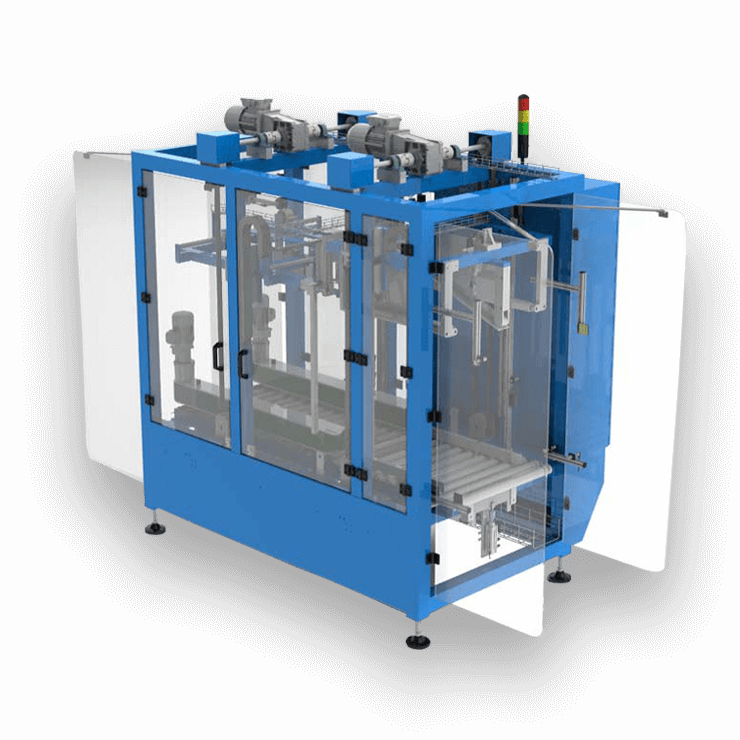 They also provide total flexibility to introduce new pallet patterns for existing sizes and new sizes in the future. 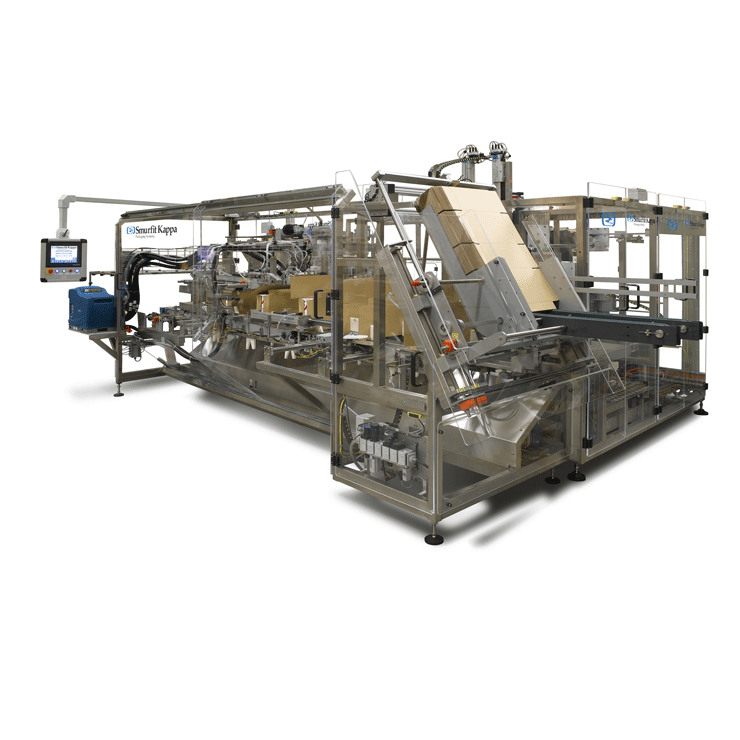 Palletisers can also be integrated with layer card insertion, stretch wrappers, automatic pallet de-nesting, pallet conveyor systems and pallet weighing and labelling systems. 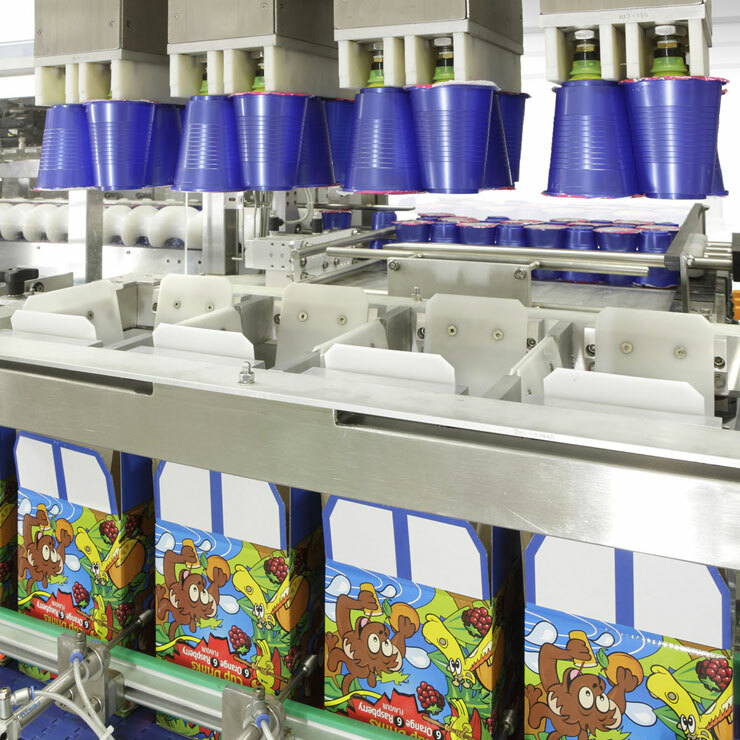 All systems are bespoke and designed to suit the line speed and pallet complexity. 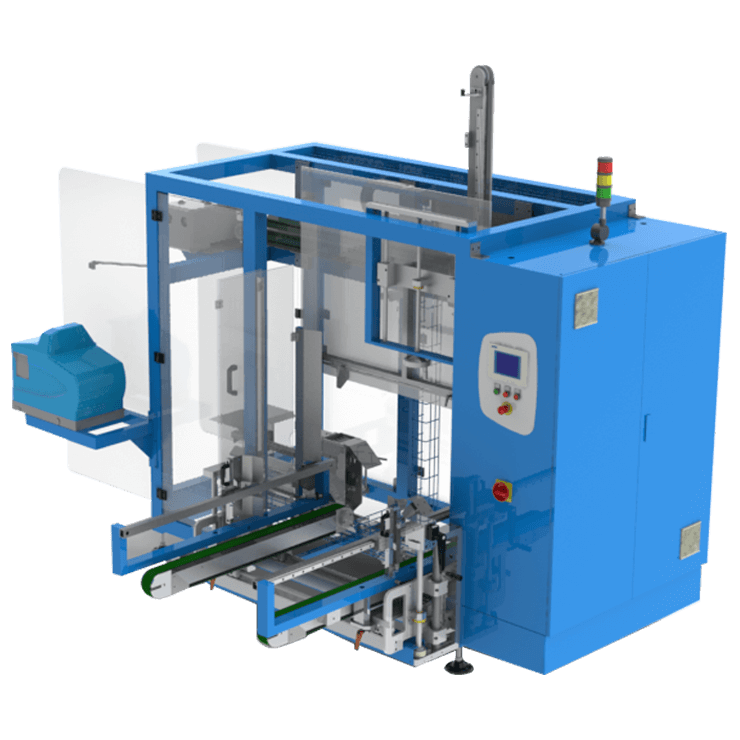 They can be integrated in new or existing lines.